At 8:30 am you get picked up at Laguna Beach Club Resort for an unforgettable snorkel day out at the famous island Koh Phi Phi. The car will bring you to the pier in Saladan Village, where the express boat will leave. 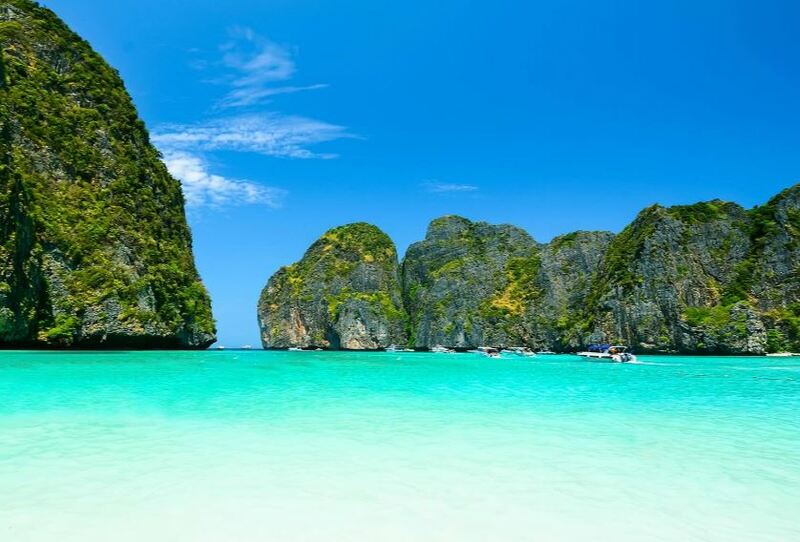 After 1,5 hours on the boat you will arrive at Maya Bay where they filmed the movie "The Beach", starring Leonardo Di Caprio. The boat stops for one hour in the lagoon, time for snorkelling. 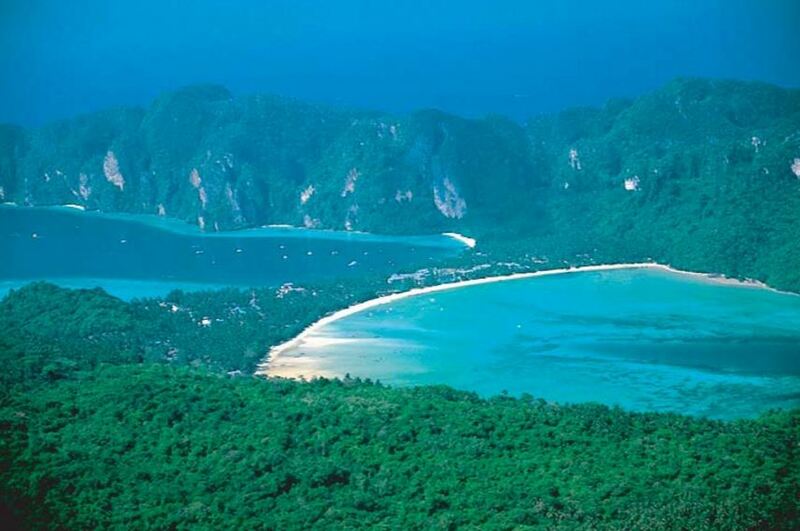 The water around the Phi Phi Islands is so clear that you can easily see 5 meters below. It's like watching a large natural aquarium with no glass. Mask, snorkel and fins are provided for free on the boat. If you do not feel that you are a strong swimmer or simply too lazy to swim for one hour, you can borrow a life vest on board. After this amazing spectacle of being surrounded by thousands of fishes, the boat leaves for the next attraction at Ko Phi Phi. Contact our tourdesk inside the reception and they will help you with all arrangements for an unforgetteble daytrip to Koh Phi Phi Islands! We can also arrange private tours. 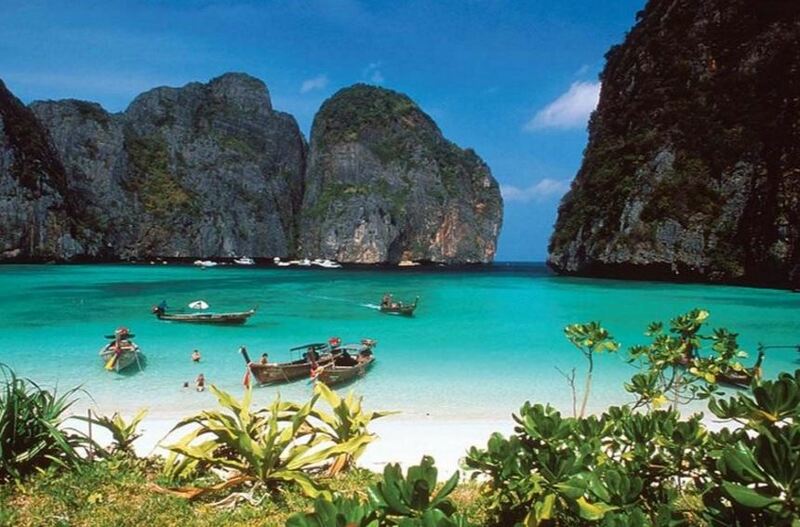 See the scenery from the movie The Beach in reality. Did you know the palms in the movie was planted on the Island just for the movie and then removed again. Phi Phi viewpoint is one of the highpoints of a visit to Phi Phi Don. Its a 20 to 30 minute hike up hundreds of steps and narrow twisting paths.